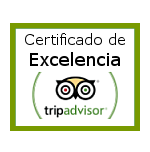 Urdaibai Bird Center is originated from Elaia Association, which began to work at Urdaibai Biosphere Reserve in 2001. The first projects were developed in the scientific ringing stations located in several areas of Urdaibai marshes. The presence of several species of birds of great interest was detected through these stations and for that reason projects for the monitoring of each of these species or groups were started. In addition to this, the high marsh proved to have areas of special interest because of their ornithological richness or, more generally, because of their biodiversity. This was the starting point for a more exhaustive surveillance of one of the most important ornithological phenomena at Urdaibai: the bird migration. In parallel with those events, the most serious problems of the loss of biodiversity were detected and the first steps to make environmental improvements in the marsh were carried out. The establishment of this permanent work team led to the development of new ideas, which eventually were materialised into the project finally named URDAIBAI BIRD CENTER.